Councillor Tammy Thomas is a Trials Manager at the Department of Primary Care and Population Sciences within the University of Southampton. Her community involvement began in 1992 when she was a Youth Options and (CAAP) Welfare Advisor. 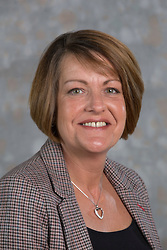 Cllr Thomas has been a primary school Governor, Chair of PTA and is currently a member of the Solent NHS Trust. Cllr Thomas is interested in children and youth and health matters.